The Big Sandy River Ranch is a vast, productive, beautiful and historic livestock operation with an estimated carrying capacity of 3,500 animal units including sheep, cattle and horses. 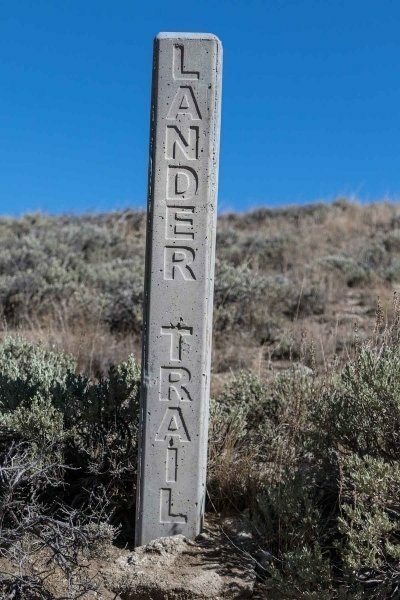 Operating since 1905 on the site of the Oregon Trail, it spans 150+/- miles in southwest Wyoming from the Wind River Mountains down through the Big Sandy River Basin, across the sage flats to the edge of the Flaming Gorge and on through the Red Desert winter range. The backbone of this ranch is that it provides year-round grazing for both cattle and sheep - from summers in the National Forest, deeded lands and Bureau of Land Management (BLM) allotments, to winters in the desert on one of the largest private grazing associations in the U.S. Additionally, the ranch possesses exceptional water, gravel and wildlife assets. The higher elevation deeded lands are especially rich in the quality and quantity of its water resources sourced in its rivers, creeks, springs and flowing wells. These also provide high-quality fishing for trout. For the wildlife enthusiast and conservationist, these same lands are designated critical habitat for several of the ranchs abundant wildlife resources -- mule deer, sage-grouse, elk, moose and antelope. The improvements are modest and adequate for the current operation. The Big Sandy River Ranch combines a highly efficient, diversified and profitable livestock operation with a package of the highest quality water assets, critical wildlife habitat and recreational amenities that is almost impossible to duplicate on one ranch.